The public service component of Tulane's core curriculum allows students to take theories learned inside the classroom and apply them to the outside world while giving back to the community at the same time. Facilitated by the Center for Public Service, the numerous community projects going on at any given time benefit the city, region, and world, as well as Tulane students themselves. The guiding principle of the initiative is the belief that public service rooted in an academic context contributes to the development of student civic engagement and, ultimately, leaders. Tulane has won numerous awards for its extensive efforts to serve the surrounding community. 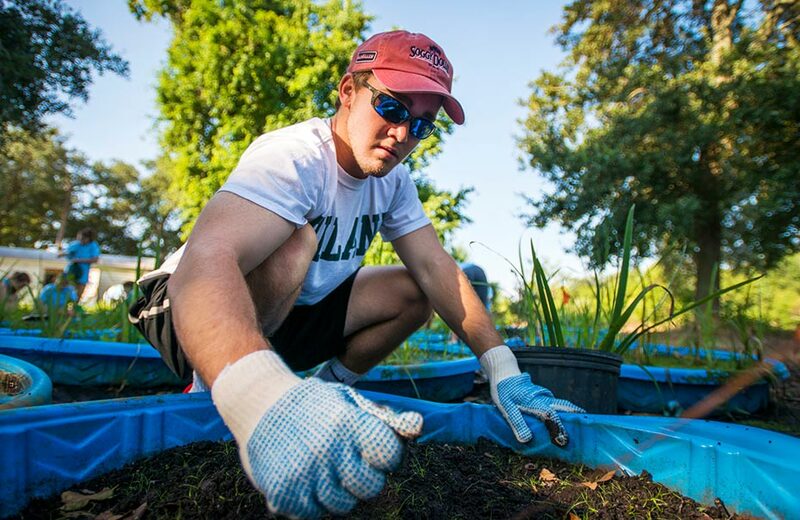 The Tulane community participates in service in a variety of ways. CACTUS, Tulane's largest student-run service organization, hosts Outreach Tulane with 1,000+ student volunteers each fall, and a variety of other student organizations are devoted to service through their respective areas of interest. Prospective students may apply for the Community Service Fellowship during the admission process. Once enrolled at Tulane, Community Service Fellows complete an average of 150 service and leadership hours each year.